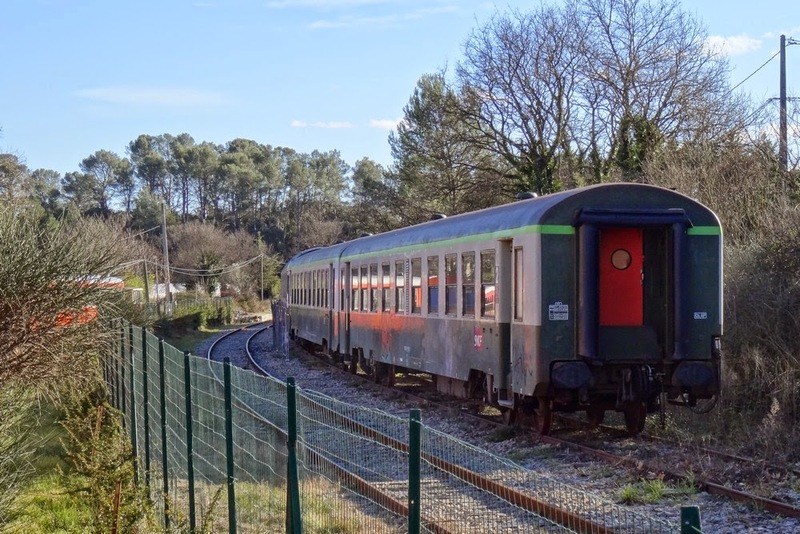 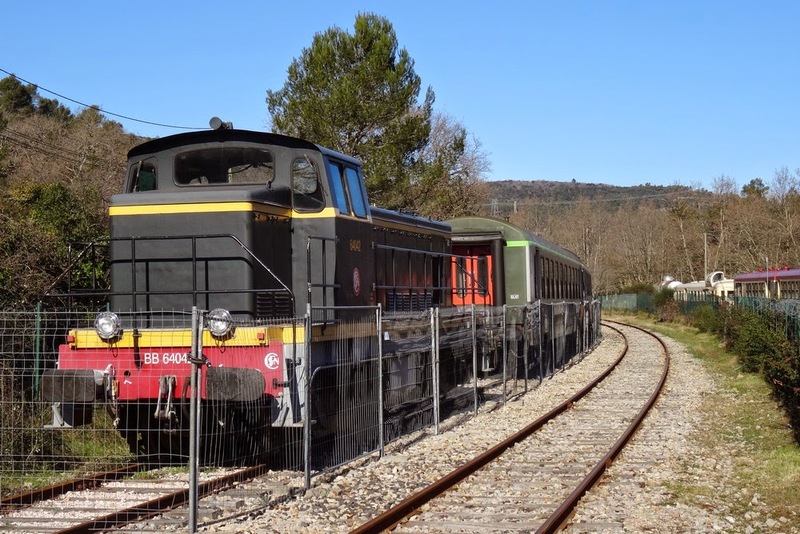 The ATTCV depot in Besse-sur-Issole is a railway museum in being. 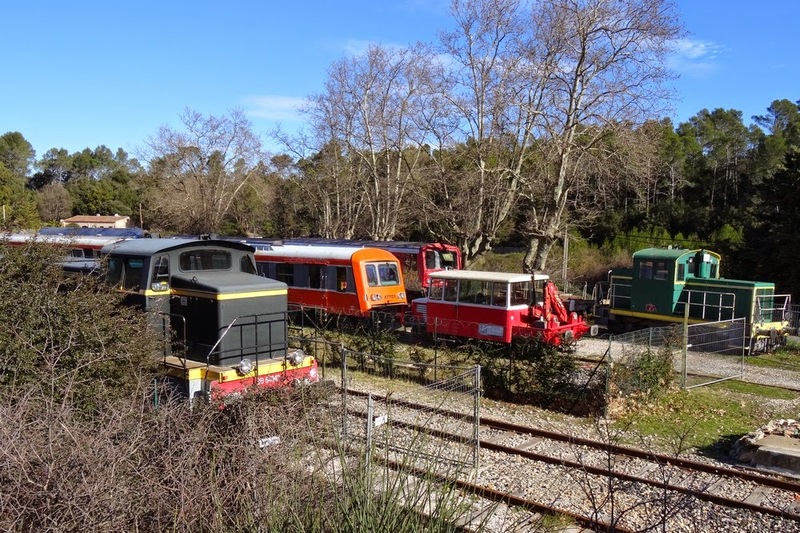 From the Association's creation in 1994, the collection of rail vehicles has increased from zero until today's almost 25 vehicles. 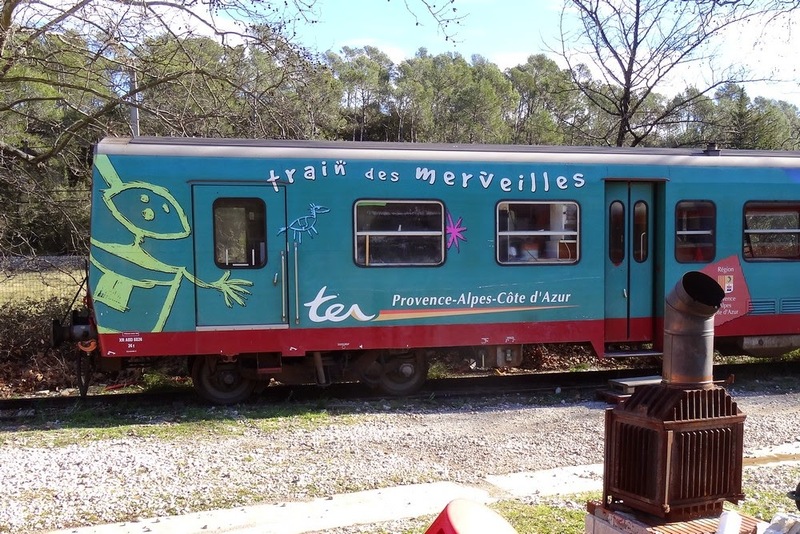 Most prominent, and important for the Association's financing of its activities, are of course the very first railcar Picasso (now awaiting total renovation of its diesel engine), the two Caravelle DMU railcars (one of which still has its approval for operation on the national railway network) and the former Train des Merveilles railcar. 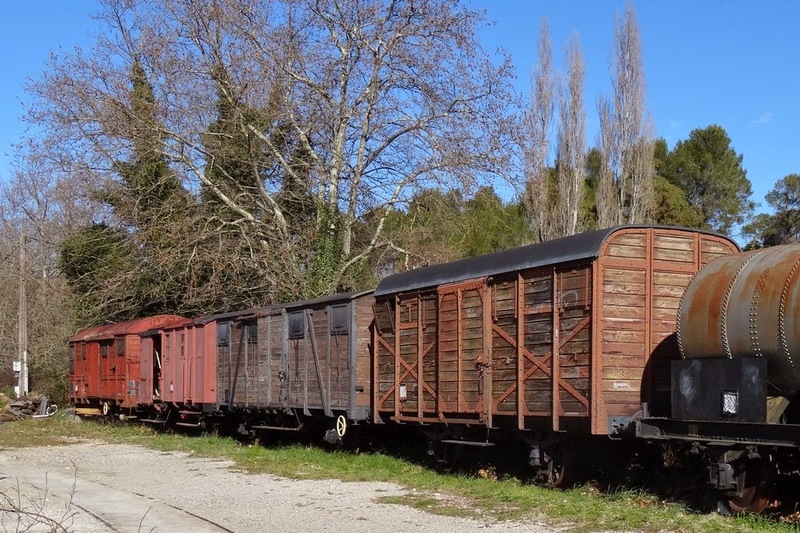 In addition to the railcars we find two diesel engines (one of which is on loan to another French heritage railway), four passenger carriages (which together with one of the diesel engines can form a passenger train), five covered goods wagons, one open goods wagon and three tank wagons, as well as a diesel shunting engine. 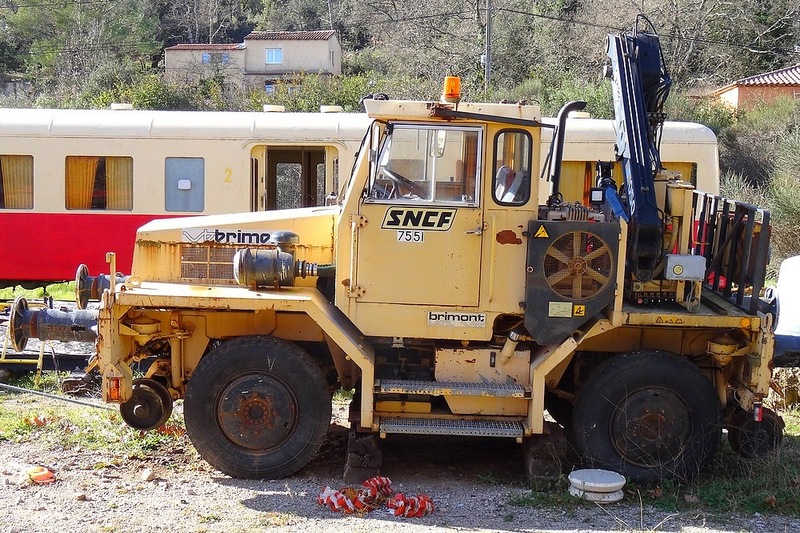 Further we also find service vehicles, viz. 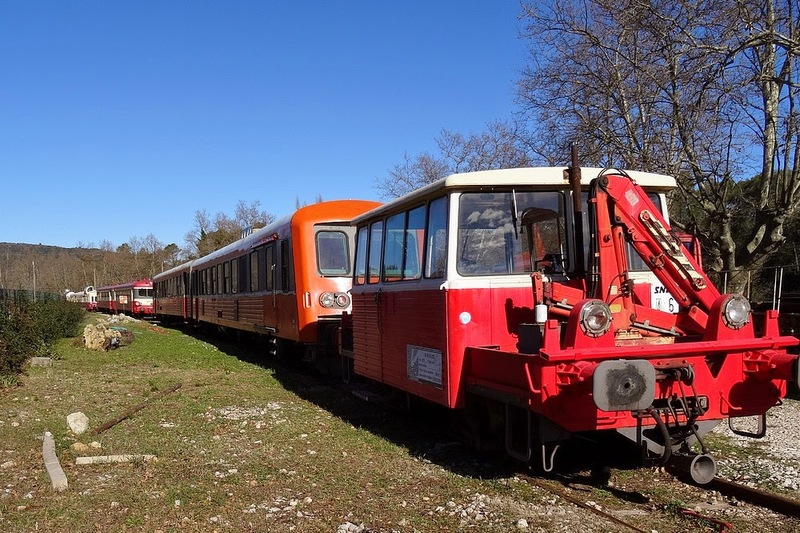 two rail/road vehicles and a draisine (which is also sometimes used for passenger transport). 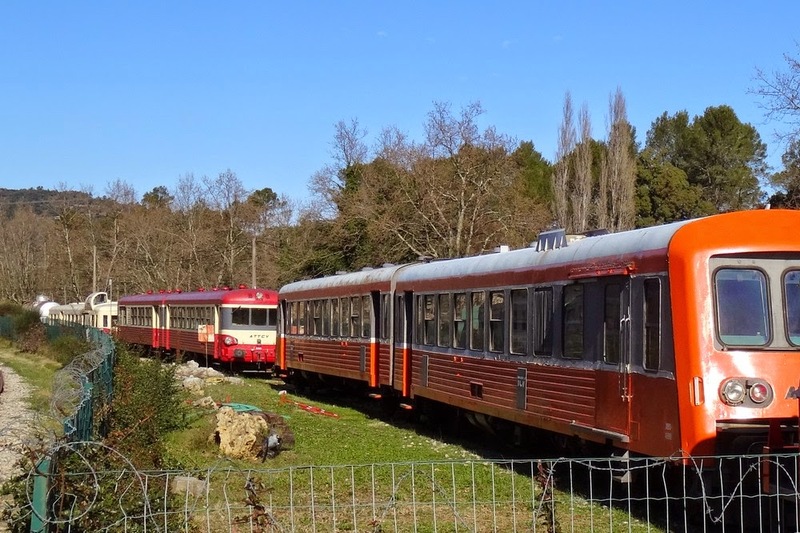 All these vehicles are stored at the depot in Besse-sur-Issole, where they under certain conditions can be visited, as in a railway museum, with guide. 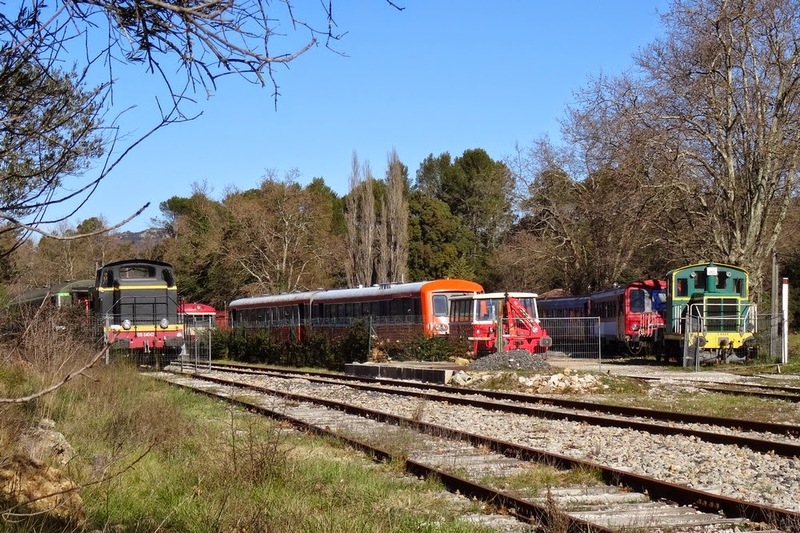 It's now winter time, which in this part of the country means fairly low temperatures - but very seldom snow. 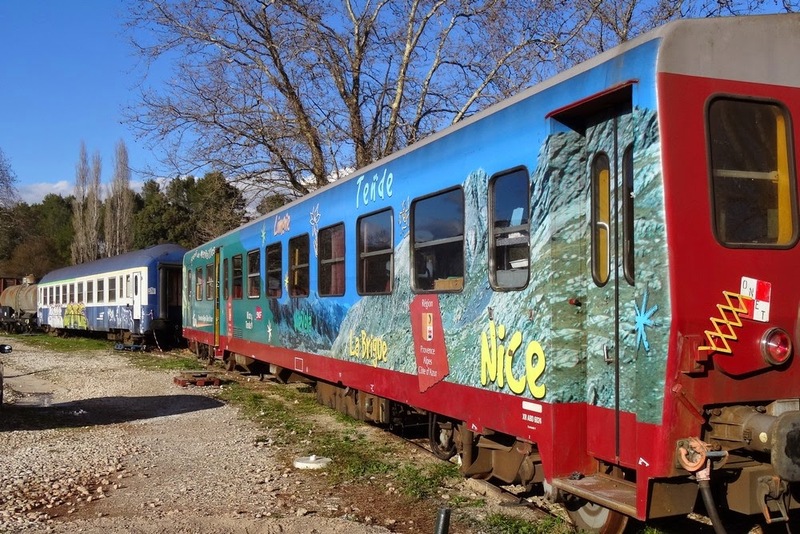 However, the low temperatures mean that the member open-air activities are lower than at other periods. 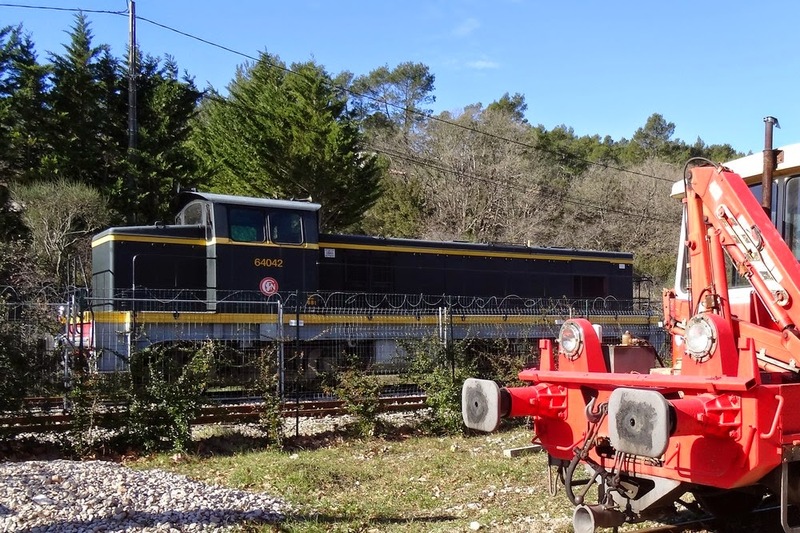 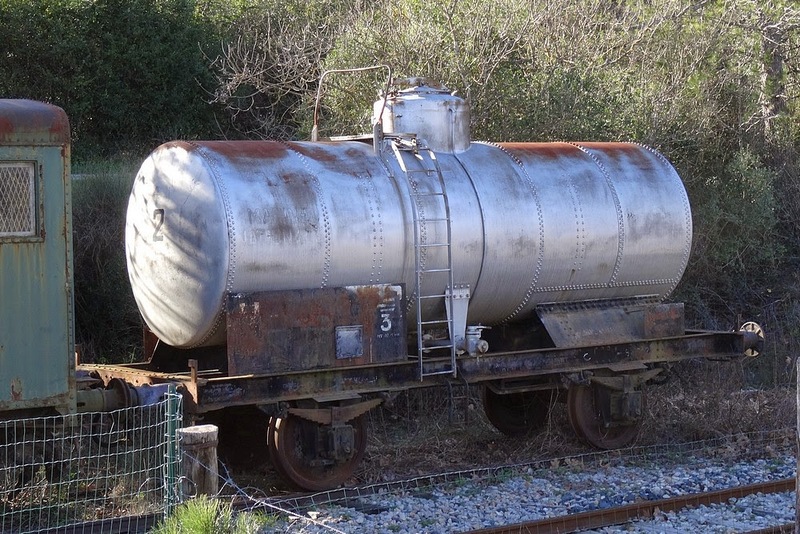 The following pictures are intended to give an overview impression of the Besse-sur-Issole yard and the vehicles stored there. 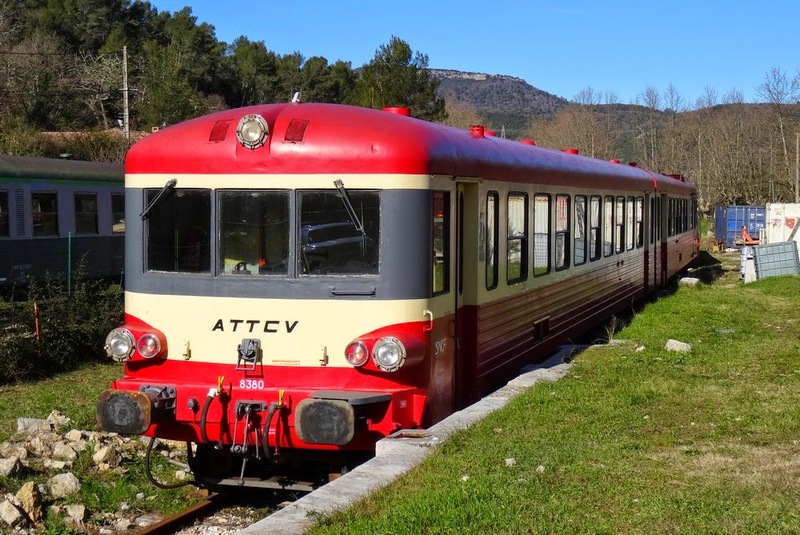 To read more posts about ATTCV and its vehicle collection, see also More about ... at the end of the post - and label TrainDuCentreVar.